Music, like all art, engages the mind and the heart. It redefines boundaries and questions limits in order to make a meaningful statement about the human condition. The education of the mind is, therefore, as important as the education of the fingers. The greatest musicians not only have the technical mastery to communicate effectively, but also are deeply curious and equally adept at analytical and emotional modes of thought. The mission of The Bard College Conservatory of Music is to provide the best possible preparation for a person dedicated to a life immersed in the creation and performance of music. The innovative curriculum of The Bard College Conservatory of Music is guided by the principle that musicians should be broadly educated in the liberal arts and sciences in order to achieve their greatest potential. All Conservatory undergraduates pursue a five-year program leading to two degrees: the Bachelor of Music degree and the Bachelor of Arts degree in a field other than music. Our undergraduates tend to pursue graduate degrees from other major conservatories. Over the course of five years, undergraduate students work towards a bachelor of music degree in either performance or composition and a bachelor of arts degree. Through professional education of the highest caliber, the Butler School of Music of The University of Texas at Austin prepares students for productive careers as performers, teachers, composers, and scholars and for satisfying lives as informed and responsible members of a democratic society. In accordance with the university’s mission, the school also seeks to extend the boundaries of knowledge and human experience through research and the creation of new music. While preserving the best of traditional education in music, the School seeks to prepare students for the changing realities of the modern world through engagement with diverse musical traditions, community outreach, and new technologies that can be used creatively to further the art of music. The School promotes the interdependence of performance and scholarship, innovative relationships between music and other disciplines within and outside the arts, and a wider appreciation throughout society of music and its significance. Fine Arts Career Services, a division of the Office of the Dean of the College of Fine Arts, helps fine-arts majors explore career options, plan for careers, and develop strategies for seeking jobs upon graduation. See more information about Fine Arts Career Services. Career advising and planning services are also available from the university's Center for Strategic Advising & Career Counseling. The School of Music educates outstanding, intellectually gifted musicians through excellence in performance, creativity, scholarship and pedagogy. We inspire imagination and creativity in music and in the construction of musical knowledge in all its diverse forms. Through an understanding of both tradition and innovation, we enrich the community within and beyond Carnegie Mellon. Our distinguished alumni populate the ranks of the world's most prestigious orchestras, opera companies, and faculties including the New York Philharmonic, Chicago Symphony Orchestra, Metropolitan Opera, Harvard University, Prague Philharmonia, Oberlin College & Conservatory, Boston Pops, BBC Orchestras, Lyric Opera of Chicago, and many more. The mission of the Cleveland Institute of Music is empower the world's most talented classical music students to fulfill their dreams and potential. CIM is an independent conservatory known for superior orchestral, chamber music, composition, piano, and voice programs at both the undergraduate and graduate levels. Its world- renowned faculty-many of whom are members of The Cleveland Orchestra-are eminent performers and pedagogues who cultivate life-long mentoring relationships with their students. CIM's commitment as a modern conservatory ensures that every student's education includes the acquisition of high-level artistry coupled with the practical and essential skills necessary for a seamless transition into a professional career. For much of its nearly 100-year history, CIM's individual faculty members have engaged in career-focused coaching of students and alumni. The CIM Center for Innovative Musicianship (CIM²) cements these tremendous career resources by building a consistent framework upon the educational core our students experience under the expert guidance of our faculty and provides the important experiential learning and universal pathways necessary for successful career development. With a 65-year legacy of excellence, the Colburn School has grown to become an internationally recognized leader in the field of performing arts education with a vibrant campus located in downtown Los Angeles. Through the generous support of benefactor Richard D. Colburn, the school became an independent nonprofit institution in 1980. Sel Kardan joined the Colburn School as President and Chief Executive Officer in 2009 and Dr. Adrian Daly joined the Colburn School as Provost in 2015. 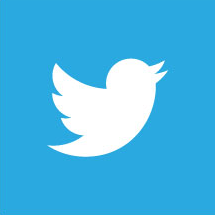 Established in 2003, the Conservatory of Music is a nationally accredited, degree-granting postsecondary institution serving musicians from around the world. Approximately 120 students pursue degree, diploma, and certificate programs and careers in music with full tuition, room, and board provided. Many Conservatory students and graduates win national and international competitions, and secure jobs with top orchestras around the world. All receive full-tuition scholarships, room, and board. The Colburn Orchestra emulates a professional orchestra experience with distinguished guest conductors and Music Director Yehuda Gilad. Students perform alongside faculty and guest artists as part of the Colburn Chamber Music Society. Career development and wellness programs support all areas of student well-being. The Colburn School offers a range of resources to help students and alumni plan and build their professional careers. Conservatory students all take two essential classes: the Teaching Musician, which equips them with pedagogical skills; and the Working Musician, which guides students in managing their careers as musicians. The Career Development Center offers individual advising and planning to conservatory students, enabling them to tailor their experience to their own needs and goals. Career development staff work with students one-on-one and find opportunities for them to further explore their interests. The Colburn Community Fellowship Program teaches students outreach skills, including creating programs to engage new audiences and become arts leaders. 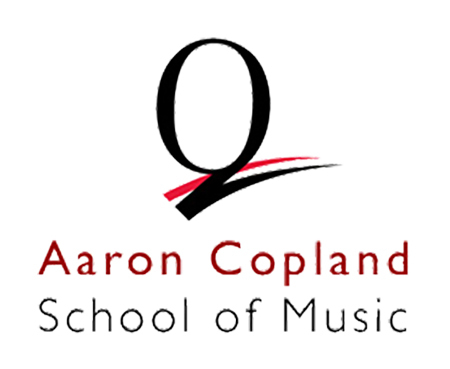 The primary mission of the Aaron Copland School of Music at Queens College is to prepare students at both the undergraduate and masters level to contribute to the broad field of musical art locally, nationally and internationally through a rigorous multi-faceted curriculum including a balanced immersion in performance, theory, composition and education. This is being achieved through nineteen interrelated degree and non-degree program offerings taught by a diverse and world-class faculty from the traditional Bachelor of Arts in Music degree within a broad liberal arts curriculum, through a post-masters diploma in performance. Several of our courses serve the liberal arts curriculum of the College at large (Pathways). Performance opportunities also exist for qualified non-majors. Our mission is also closely aligned to that of the College: To educate and prepare its students to become leaders and contributing citizens in an increasingly challenging and complex global society. Being located in one of the most ethnically diverse communities in the United States, the School of Music draws from a culturally rich population that adds to the value of a Queens College education. While preparing our students for this global society, we are also closely linked to the community we serve as evidenced by housing the Lawrence Eisman Center for Preparatory Studies in Music (serving over 400 school-aged children in the local community), and the Queens College Choral Society (made up of approximately 60 community members). Queens College is a liberal arts college, boasting excellent programs in many areas, and the School of Music is the jewel in the crown. Students at the Copland School of Music get a world-class education at the center of the cultural universe for an impressively affordable tuition. Auditions are offered February and March of each year. ACSM has an excellent career placement record for music education graduates (99 percent placement rate). We also offer Business of Music and Music Career Development courses to provide critical industry knowledge to our students. 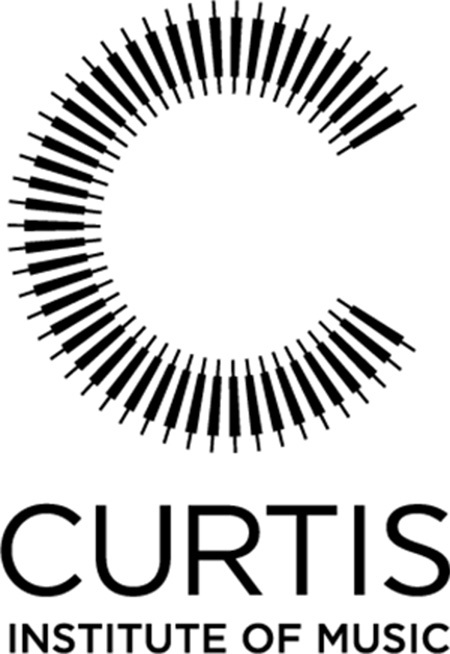 Curtis's celebrated faculty includes a high proportion of actively performing musicians whose experience provides students with a direct link to life as a professional musician today. With a student body of about 175 and 100 faculty members, all students receive highly personalized attention. Curtis offers several professional bridge programs designed for young artists beginning their professional careers. These include fellowship programs for conductors and string quartets that offer numerous performance opportunities and mentorship from Curtis faculty and guest artists. The post-graduate Community Artist Fellowship program brings art access and education to underserved communities through a year of paid service. Alumni resources include access to the Careers in Music Speaker Series at Curtis, which showcases successful artists, industry experts, and ensembles who share their advice and perspective; entrepreneurship grants to provide start-up funding for musical projects; an online directory encouraging alumni to make connections as they travel and perform; and an alumni email address to maintain a visible presence with Curtis. The DePauw University School of Music provides undergraduate students with an excellent foundation, preparing them to imagine and pursue a breadth of career paths and adapt to changing conditions in our field. As one of the first schools of music in the nation, we challenge students to develop artistic excellence, creativity, and critical thinking skills; engage audiences from the stage, within their communities and across digital platforms; act as socially minded entrepreneurial musicians; recognize and champion diversity of all kind; and leverage technology in the creation and dissemination of music. At DePauw, you will collaborate with other artists and challenge yourself intellectually and musically in a personalized and nurturing setting. In partnership with DePauw’s College of Liberal Arts, we encourage students to integrate practical musical skills with critical thinking and intellectual inquiry, empowering them to build upon their undergraduate education through lifelong learning. The Hubbard Center for Student Engagement assists all students in post-graduate employment or study. Experiential learning that could include internships, international study, and additional performance opportunities is required.